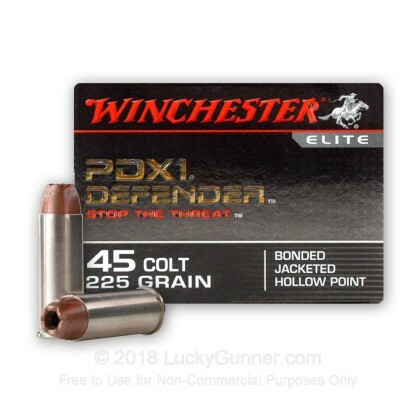 Top of the line, Premium grade home defense 45 Long Colt ammunition in Stock! Inconsistant diameter = stuck bullet?? 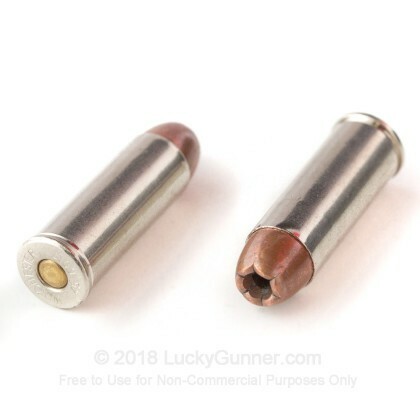 Am I just lucky that this was the first bullet I have ever had stuck in 50 years of shooting? Was range firing Taurus Judge and switched to the (copper clad) PDX1. 1st shot did not sound right and found stuck bullet midway in barrel. 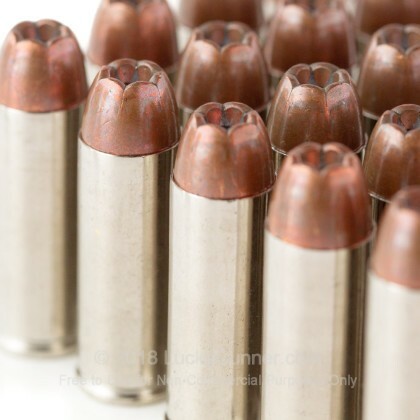 In days after, found that 18 in box would fit in end of barrel down to casing, 1 would not. The spent casing and the 1 'large' round did not have slight crimp at end of casing. 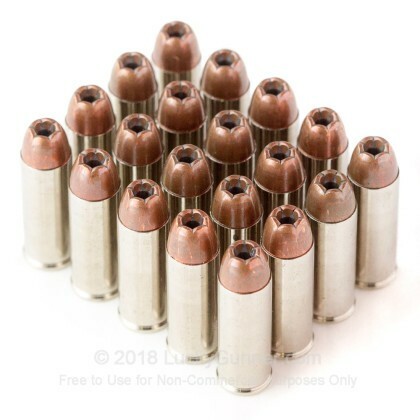 I have since confirmed that Silver Tip and Lead will not fit down to casing and even copper clad in 38 Special do not fit down to casing. Either manufacturing error or bad powder?? All my ordering from Lucky Gunner has been shall I say; excellent. 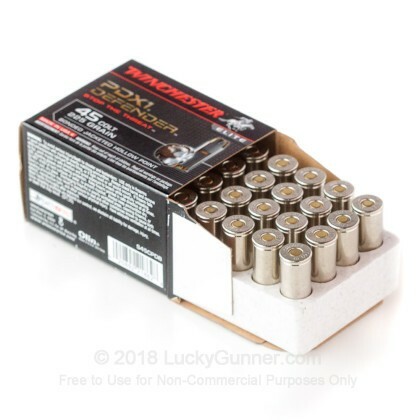 Ammo arrived as stated and I have searched all the Ammo sites and found Lucky Gunner my best source for price and availability and no surprises.. I have this ammo loaded for defense only, use other for shooting and practicing so I have not fired this ammo. 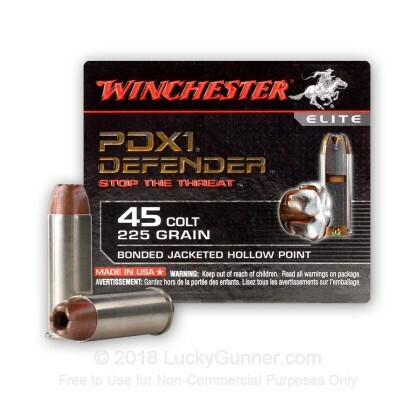 After a year if not use will buy replacement if still available and shoot this but all reviews especially on message boards state this is excellent ammo for all shooting. That's why I bought it. Superb expansion, penetration, did not come apart. I bought a 12 lb chuckroast to test on, and it tore it apart! The bullet stayed together, mushroomed beautifully. Excellent ammo. Well worth every penny.